“The words of Nehemiah the son of Hacaliah. Now it happened in the month of Chislev, in the twentieth year, as I was in Susa the capital, that Hanani, one of my brothers, came with certain men from Judah” (Neh. 1:1–2a). After the Babylonian empire fell to the Persians, the new world power was left in charge of all the lands over which Babylon once reigned. To help maintain peace in its territories, Persia often allowed exiled peoples to return to their homelands, including the Jews following Cyrus’ proclamation in 538 BC (2 Chron. 36:22–23). Since the restoration did not get off to a very good start, God sent prophets and leaders to encourage the people to rebuild the temple and prepare for the Messiah. Nehemiah was one of these leaders, and so we will spend this week looking at his ministry with the help of Dr. R.C. 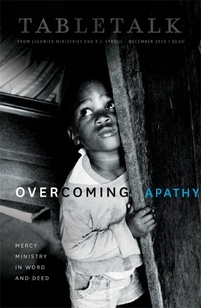 Sproul’s teaching series Book of Nehemiah. Even though the book of Nehemiah is probably not one of the more familiar portions of Scripture, Dr. Sproul believes that it has a special relevance for Western Christians today, especially those who live in the United States. This is on account of the “culture war” that has been raging for over five decades. Undeniably, American society is greatly divided today over several moral issues. A large majority is committed to the sanctity of life and opposes abortion on demand, while a great number of people want to preserve the legality of abortion because of their commitment to personal autonomy over the well-being of the defenseless. In large swaths of the country, homosexual “marriage” is regarded as a moral imperative, while elsewhere the idea that marriage can be anything other than the union of one man and one woman is anathema. The roots of these conflicts, at least in their current form, go back to the “sexual revolution” of the 1960s. Prior to that decade, there was a degree of shame attached to promiscuity, though it is not as if the decadence of that era was unknown before then. Yet the 1960s marked a turning point in that what was once done shamefully in secret emerged as good and normal. Since that day, secular society has grown increasingly hostile to the biblical ethic that undergirds much of Western civilization. Nehemiah, a Jew serving in the Persian court, lived in a similar situation. He was facing the loss of his traditions as Jerusalem lay in ruins and the people of God were held in reproach (Neh. 1:1–4). He had to learn how to be faithful to the Lord while under the rule of a king who did not know the God of Israel. Like us, Nehemiah had to learn to preserve the sanctity of the covenant community in a foreign land. When it comes to the “culture war,” American evangelicals often embrace one of two extremes. On the one hand, they can give up trying to influence society altogether. On the other, they might believe the nation will be saved if we elect the right people and pass the right laws. A more biblical approach would be to affirm the legitimacy of Christians serving the common good in the public square while recognizing that the gospel saves, not moralism.